Players find teams & team find players! You’ll need to know what we can give you from our combine experience. Measure & show your skills off and learn the the highest level methods & habits to become an elite athlete… All while coaches watch online or in-person. APPLY FOR SHOT AT A SPOT ON AN UPCOMING COMBINE! WHAT HAPPENS AT THE COMBINES? #1 SKILLS & TESTING SESSIONS (Mornings): You see where you rank with other potential and current pros both by being measured + testing verticals, foot and lateral/sprint speeds (think how fast do you close a block or pursue a ball on defense), 1 rep max, visual/cognitive skills & more based on location of the combine and our local partners.. PLUS, We will teach you the same level of volleyball skill breakdown as some pro coaches and national teams that develop talent do. Meaning you will learn to use what Olympians employ everyday when they play volleyball. You will go over the basic keys of every vital skill and get 1on1 instruction, as a small group from our experienced pro & national team level coaches... To learn faster, usually quick video breakdown during these will happen to see what you currently do and what a potentially better way is... These coaching sessions will be more intense for each basic volleyball skill than you will get with 95% of pro clubs because there is no time to teach pro's how to play volleyball. We also film all of these sessions. #2 COMPETITIVE TRAINING & MATCH SESSIONS (Evenings): You will get apply these new/improved techniques in recorded and/or live streamed 6vs6 practice sessions and scrimmages (test matches) vs local clubs & national teams, where you can prove your ability and what you do well + what you're learning. The focus in mostly on performance and team systems. Well get your national team level education here! Outside of the court we have pro mentors helping you learn how to be a serious pro! #3 GUIDANCE/EDUCATION SESSIONS (Between or after other sessions): These cover foundational health (emotional, social, physical & mental health tools) + Pro Volley 101 & QnA's with local pro's that have played for top 3 national teams in the world and/or have won championships and cups all over the world plus EliteVolley.com’s founder RJO. CLICK HERE TO SEE VIDEOS FROM LAST EVENT!!!! + any other players that want a better level, experience and/or exposure! -Current college enrolled athletes and graduated NCAA players can gain valuable tools for their last college season and or pick up last minute jobs depending on the time of the year. - 2018 April & June combines featured U19, U23 and senior national team players from Serbia, France, Bulgaria, Romania and USA. One of the featured ones was Team Romania's Daiana MURESAN voted 2014-15 BEST OPPOSITE of the Italian A1 league! - We had many of our #EliteVolleyFAM players rookies and experienced pro's here. A few are signed already or coming from Champion's League and other EuroCup teams. We also invite local talents to learn with you and showcase skills in trainings & training matches throughout the week! WHY IS THIS AN OPPORTUNITY FOR YOU? #1 GET EXPOSURE --> Have coaches (PRO + NCAA USA coaches) watch your level with every skill in-person and via live stream and on-demand videos stored online! #2 GET PRO LEVEL FOUNDATIONS --> Strengthen key skills for any position whether weak or strong... you're looking to hone or build skills to get to the next level. Our coaches comes from national team backgrounds from USA, FIN, DEN, SRB, etc. and you will not get 1 on 1 detailed coaching from a pro level anywhere else in Europe. #3 GET PROOF --> Need videos? You’ll get ALL of them same day! Platform to change to or prove your level in a new position... this is where you get hands-on coaching and video from trainings and matches! Our transitioning middle to opposite Maria DANCHEVA came to 2018’s April event , participated in the Korean Tryout in Italy then signed in the A1 German league! Malina Terrell signed for French Champs and is playing Champions League! Team USA’s Jenna ROSENTHAL signed for #1 Finnish club in EuroCup! Georgia Tech, Northwestern, Cincinnati, Oregon State, St. John's, Rutgers, UTRGV, Illinois , Florida State and more! Our pro’s went to top teams in GERMANY, FRANCE, FINLAND & more. UPCOMING LOCATIONS? Possible in May/June TORONTO + SEPT CZECH REP. Deposits of 25% must be made upon confirmation of a spot. 100% payment 45 days before event. Refunds of 75% up until 31days prior to event. 50% within 30 days of the event. HEALTH FOUNDATION COACHING SESSIONS --> Local & international coaches to create or hone your physical, emotional & mental habits and skills. These pro's have worked in/with up to the Olympic levels! They will work on nutrition, proper lifting/conditioning techniques, visual imagery, breathing/mind control and more. The coaches include Pavle Gavrilovic & Boris Simurina (Holistic foundational health coach) who has worked with Olympians! MENTOR SESSIONS --> You'll attend just a couple extremely valuable Get2Know/QnA sessions with local and participating high level pro's still in the game or vet's with incredible résumés... like Anja Spasojevic, Therese Crawford, Ryan Jay Owens (host of BeyondAthletic.com podcast with over 50K listens globally), and others based on when their season ends! MORE INTERNATIONAL EXPOSURE POSSIBLE... If we find out teams in surrounding countries want to scrimmage or come from outside of Belgrade (or we visit them) this will be a bonus as is VERY HIGHLY POSSIBLE but based of of schedules/results of teams. VOLLEYBALL COACHES --> Serbian, USA & national team level coaches along with EliteVolley.com Owner (RJO) will give you a mix of technical guidance, guidance and growth both on and off the court. See featured staff below! German Jr National team assistant + Sr national team volunteer since 4 years. Currently working in Japan's top men’s league, has over 20 years of experience at every level, having coached juniors, college and professional teams in 8 countries, including Italy, Poland, USA and the women’s national team of Finland. He had the opportunity to be mentored by legendary Carl McGown and to work with and learn from some of the world’s best coaches (such as Karch Kiraly - Hall of Famer & Team USA head coach, Jim McLaughlin - Washington Huskies NCAA D1, Hugh McCutcheon Minnesota D1 NCAA and former Team USA head coach, et al. ), while also studying the mental aspects of the game thoroughly in order to help his players. 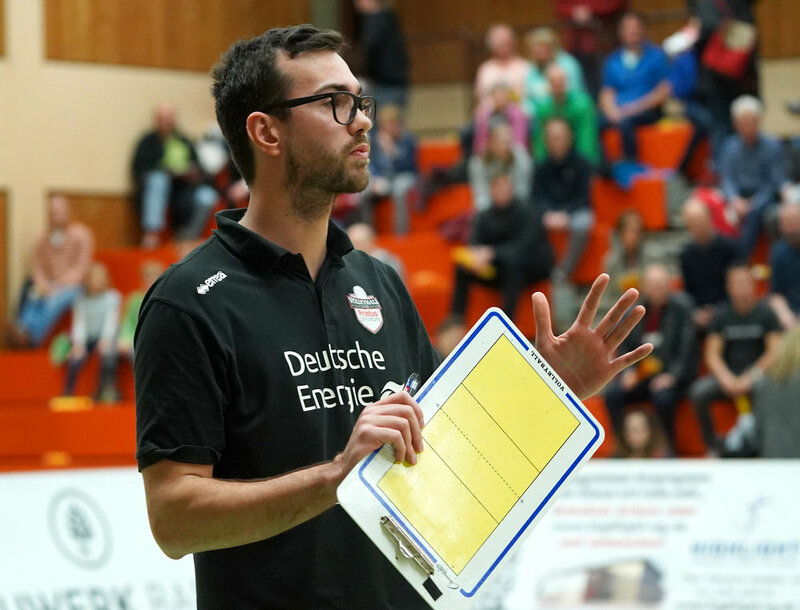 “Alessandro Lodi is an excellent teacher in both the technical and mental aspects of volleyball and I hope that many other players will continue to benefit from his coaching” says two-time Olympic medalist Courtney Thompson. We’re thrilled that Alessandro has happily agreed to put his knowledge at the disposal of all June camp participants and for video sessions during our April camp! Born: 31st of January, 1981. 2016- Current Head coach OK Partizan where first the 1st time in history the club participated in the Superliga (after receiving an unanticipated wildcard to play with a team built for the 2nd league). They were ranked with a very inexperienced team as high as finished 8 of 10 and made the 1/4 Finals of the Cup! Former head coach of a U16 Serbian National women team (2015-2016) where he took the team to two silver medals in international championships for the Balkans in Turkey/Bulgaria. Former assistant of two cup winning teams with OK Vizura who were then and are current champions of Serbia's Superliga. As well as Serbian U15 champions (2015). He finished his second Masters as a volleyball coach from the Faculty for Sport – University Union Nicola Tesla in Belgrade. Belgrade, Serbia AKA Volleyball Capitol of Europe!